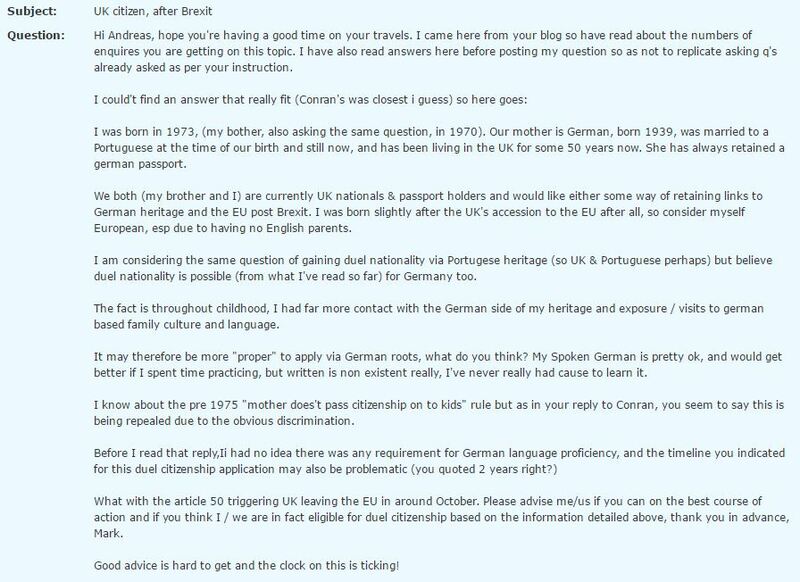 When I came back home from a trip to the Bolivian jungle yesterday, I had already received dozens of e-mails from Britons along the lines of “my grandfather was from Germany, can I get a German passport?” As an expert in German citizenship law, I get these kind of questions all the time, but the increase in volume was significant after 23 June 2016. And never before have I gotten so many requests from Britain. Clearly a significant spike after the result of the Brexit referendum was announced. What did people look for? The top 3 posts all deal with German citizenship law. And where do these questions come from? The overwhelming search volume was from the UK, and I bet that many visitors from Spain, France and the Netherlands were Britons who live there. As a European, I am sad about Brexit. But for lawyers, these are going to be a few prosperous years. 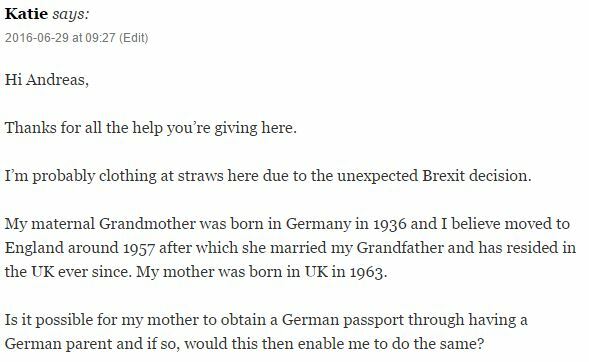 Here are just a few samples of the questions I received in the days after the Brexit decision. You can enlarge them by clicking on the photos. 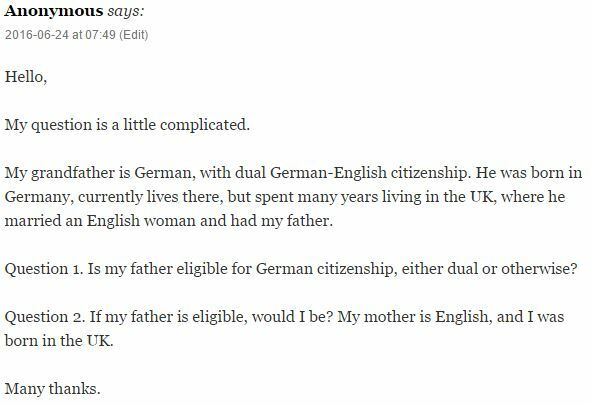 Answers can be found on my FAQ page about German citizenship. 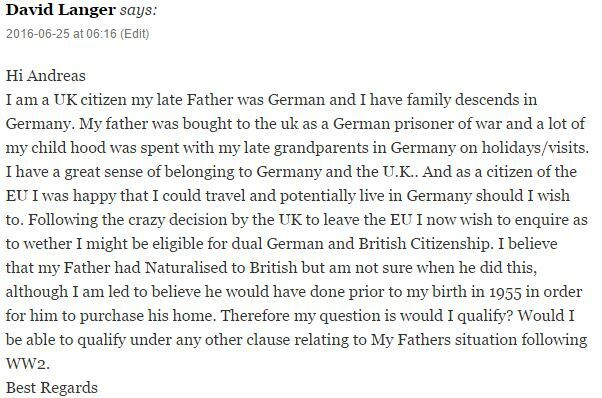 This entry was posted in Elections, Europe, German Law, Germany, Immigration Law, Law, Politics, Statistics, UK and tagged Brexit, German citizenship, German passport. Bookmark the permalink.